Our initial travel plan did not include a quick trip back to the adoptive motherland but I was able to squeeze in a visit to Toronto to surprise my mom and friends for their wedding. It has been two years and a bit since my last trip there and it was a bit strange to visit without Chris. In my head our next time in Canada would have been together starting yet a new chapter in our lives. But Claudia and Shiv’s wedding in Ball’s Falls, Ontario was a good motivator to work on a plan with my surprise planning committee comprised of: brother, sister and sneaky friend. The three of us, Claudia, Shiv and I, met my first year in Canada in 2001. So our histories are intertwined for the past 11 years sometimes close, sometimes far away. I am happy to have been part of each others wedding celebrations and it was a beautiful occasion to spend a day rejoicing love and seeing family and friends who I have missed for a while. Another achievement for the weekend was the reassurance I can still drive. After a two year long break I managed to drive about 300 km in a day all without major hiccups. Probably a good 10 percent of that was spent being lost but all locations were new so I can’t be too hard on myself. And last on the mention list is the presence of a TV. Since moving to Manchester I have not lived in house with a TV so when I am in hotel or visiting I go all click happy. But this weekend I got stuck on one channel for a ‘Who’s the boss?’ marathon. 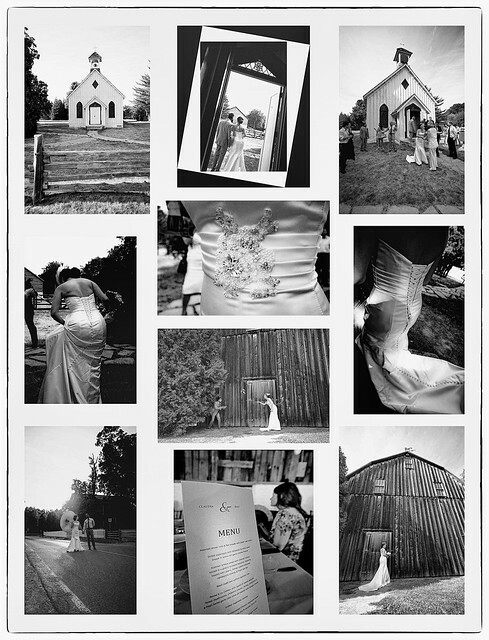 Here are some of my favourite photos from the wedding put together. Congratulations you sweet people and all the fun in the world for your future. This entry was posted in The Wanderer and tagged Ball's Falls Conservation Area, Toronto, wedding, who's the boss. Bookmark the permalink. 4 Responses to Who’s the boss? Anca I don’t have words to thank you for being there to celebrate this day with us. It was a wonderful day and we are so glad you were there with us. Also, thank you for your lovely pictures!